Your suit oxygen is venting, you're starting to freeze. The atmosphere of your station has already vented and you're starting to panic now. All your crew are dead or missing; and you can feel the deep vibrations of the station falling apart around you. You have one mission left: Survive. Played in first-person, it blends survival, team work and a simulated space environment to allow players to create their own emergent gameplay. Heavily inspired by the game Space Station 13 one of the finest sci-fi sandbox simulations available, Centration will include full airflow simulation, power grid, crafting and construction. As a UniTech employee, part of a groundbreaking expedition using state-of-the-art technology to a solar system far away, you arrive with thousands of other colonists, from different walks of life and different political affiliations. Whatever your political affiliation or goal of coming to the Keplar-16 solar system, one thing is certain: You're only going to survive if you work together.  Get in on the discussion, get up to date information and talk shop with the dev team and backers of Centration on our Discord. Not a VOIP/Chat kinda guy? Check out our forums, take part in important feedback or simply discuss the game. Centration and the Centration logo are trademarks of ANGRY. Centration is in a very early stage of development. Everything is subject to change. Please enter your Centration account details or create an account now. There were some errors while trying to register you. Username You must enter a username that is 3-20 characters long! Password You must specify a password that is 5-64 characters long! Re-enter Password Your passwords do not match! There were some errors while trying to login. Username You must enter a username! Password You must specify a password!